The Xiaomi Mi Mix 2 is arriving in 10 days but not much is left to the imagination. 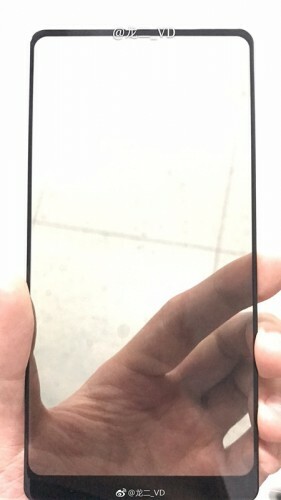 The phone is expected to have even thinner bezels than the original Mi Mix and the latest leak from Weibo, if real, confirms this assumption. Some sources suggest the Xiaomi Mi Mix 2 might come with 6” screen which is smaller than the 6.4” display the first iteration had. The user interface will be MIUI 9, based on Android Nougat 7.1.1 and will support 3D facial recognition. GearBest already leaked some specs of the Mi Mix 2. It could arrive with Snapdragon 835 chipset, three memory combos, including 256 GB of storage and a 4,500 mAh battery. The official announcement of the device is on September 11 when the veil will be lifted and we will know more about the upcoming phablet.